Congratulations to Emma Cunningham. 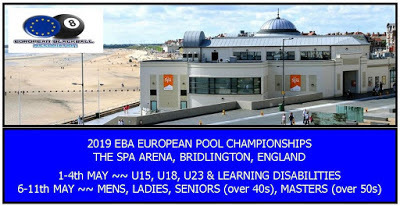 Emma is the new 2018 EBA European Ladies Individual Blackball Champion. In an all Northern Ireland Final Emma edged out Collette Henriksen by 7-5 to lift her first major Blackball Title. It was part one of a memorable double for NI as Emma was part of the Ladies Team that went on to lift the European crown. 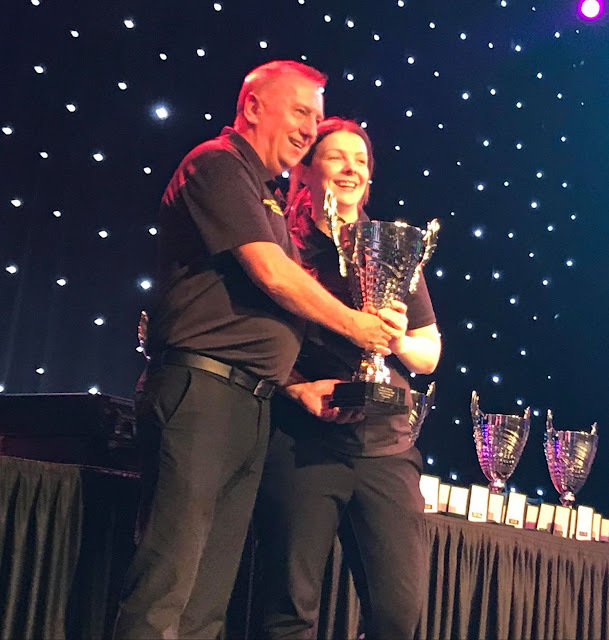 In the photo - Emma receives her trophy from Ross McInnes, EBA rep to Blackball International.